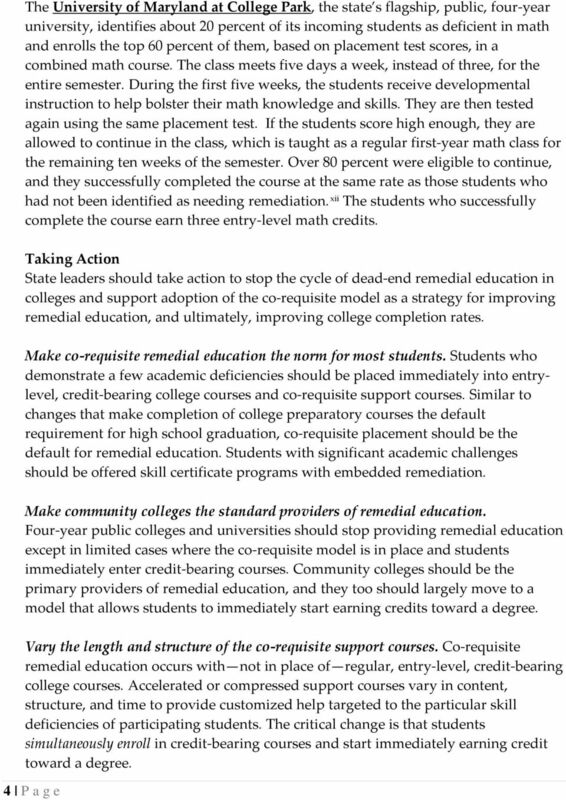 Download "Transform Remediation: The Co-Requisite Course Model"
DECEMBER 2010 EDITION 2 Higher Education Productivity in America Experts say that for a stronger nation, at least 60 percent of Americans should have high-quality postsecondary degrees or credentials. 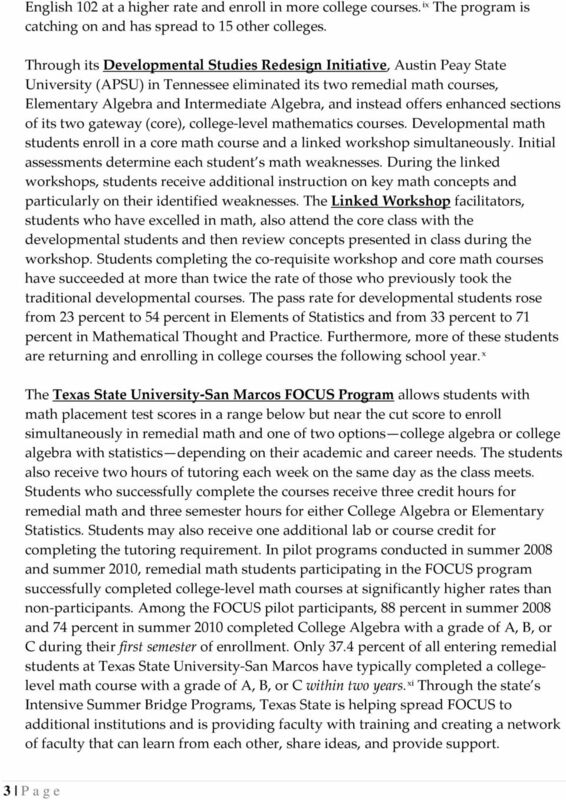 Mathematics Department Academic Master Plan Template Sample NOTES 1. This document is just a sample it is for presentation purposes and does not represent the Mathematics department actual unit plan. 2. 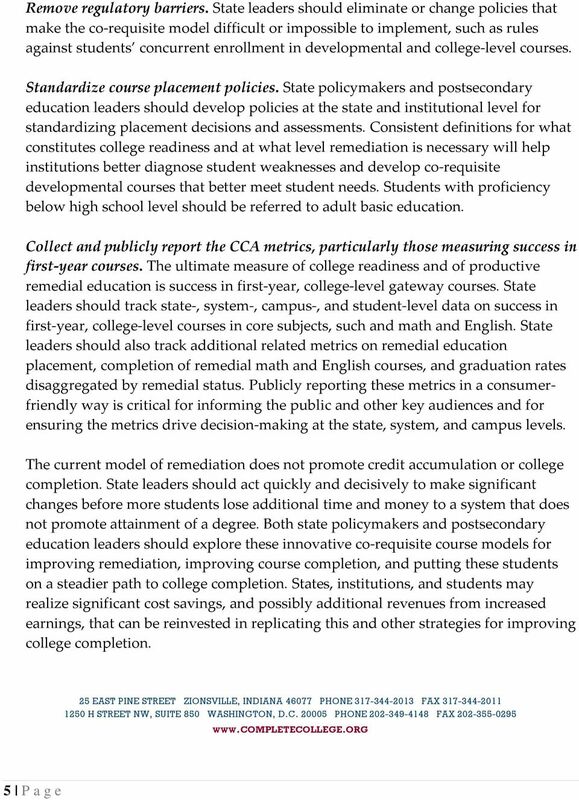 October 2008 Research Brief: What does it take to prepare students academically for college? 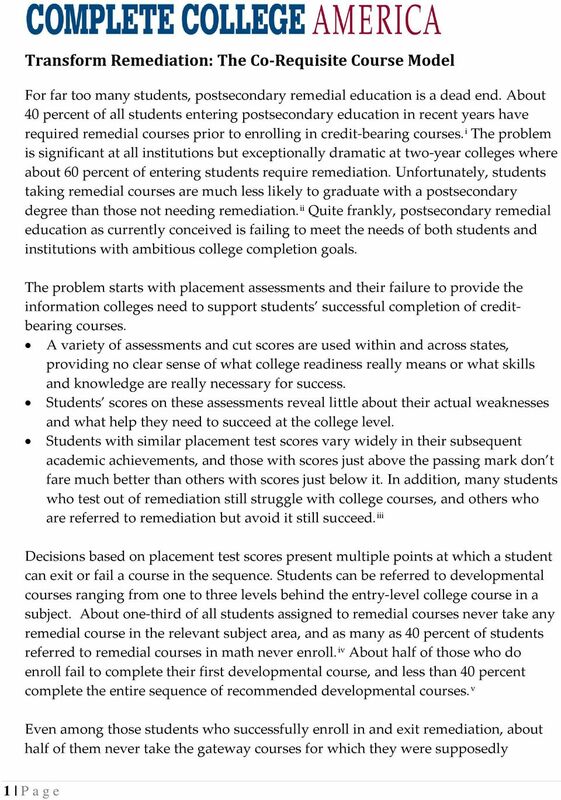 PREPARATION STRATEGIES: PLANNING FOR SUCCESS The student success pathway is not a jungle through which students hack their own trail; it is a roadmap students can count on for direction. (O Banion, 2013). Accelerating Developmental Education at the Community College of Baltimore County and South Texas College 2013 ACCT Leadership Congress October 2-5, 2013, Seattle, Washington Introduction Presenter: Mr.